The iPhone 5 has arrived, but consumers might not rush out to snap up Apple's latest smartphone if they're still under contract with their current device. Online coupon site RetailMeNot.com and research firm Ipsos Public Affairs on Monday reported that 42 percent of American adults plan to wait until their contract ends before upgrading to a new phone. Just 13 percent of the 1,000 people surveyed said they plan to switch from their existing phone to another brand, and another 13 percent said they will upgrade for the love of owning the hottest technology. Upgrading before your contract is up can be costly. For carriers, contracts subsidize the price of the phone. The 16GB iPhone 5 ships for $199 with an AT&T, Verizon or Sprint two-year contract, sticking to the prices Apple set with the iPhone 4S. When it was released, the iPhone 4S cost $649 without a contract. For some Apple aficionados, an extra $450 is a worthy price to pay for a product one analyst says could boost the entire national economy. Younger techies are more likely to shell out the extra cash to upgrade, the survey indicated. Consumers under 35 are more likely than other demographics to upgrade to the latest and greatest gadgets while still under contract. iPhone 4s owners who upgrade before their two-year contracts end have a few ways to recoup those costs. Companies like Gazelle.com buy back old tech products in anticipation of new releases. Apple also offers a recycling program that offers store gift cards in exchange for old devices, but first a third party evaluates the device to determine how much money to offer. 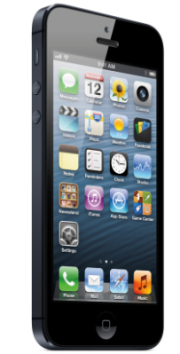 Now that the iPhone 5 has been announced, those buyback offers will likely tumble. RetailMeNot.com and Ipsos report that 74 percent of adults find ways to repurpose their phones, even without financial incentives. Twenty-five percent said they recycle old gadgets, and 19 percent said they pass on their phones to kids or other relatives.